Thomas Cook promotion code 2018 - £100 discount off long haul flight holidays! If you are planning to use service of Thomas Cook you can now easily save some great money when booking long haul flight holiday package. They have just released brand new Thomas Cook promotion code 2018 when booking your trip in winter season 2018. Using below discount code you may easily save £100 per booking with Thomas Cook off your long haul flight holiday package. (Min. spend is £700). This Thomas Cook code 2018 is valid for return long haul flight holidays booked directly through the website of this airline. 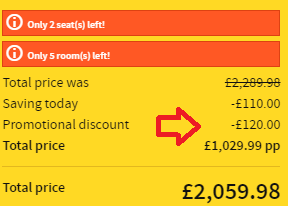 This discount code can not be used on bookingPlease refer to the details below if you want to take the advantage of this opportunity to further discount your holidays including the already discounted deals. This promotional code can be used when booking long-haul flight holidays directly with charter airline Thomas Cook. How to Apply Thomas Cook discount code – simply follow below link and once you choose your long-haul flight holiday package (via holiday tab) you can apply below promo code. Min stay 7 days and max stay 28 days. You can find separate box “promotion code” at last step right above payment details. Thomas Cook promotional code 2018 is valid for long haul flight holidays in travel period from 1st of January till 31st of March 2019. This latest Thomas Cook promotion code is valid for bookings made till 31st of January 2018 so hurry up if you want to book discounted flights with this charter airline. To take the advantage of this promotional code with Thomas Cook or in case of further details please visit their website directly. Booking sample of successfully applied Thomas Cook promotion code 2018 below. In this case you would easily save generous £120 off your long-haul flights holiday package when departing from main UK airports. You may consider to use their service from cities such as London, Manchester, Birmingham and more. Again please look for separated “Discount Code” box at the last step right before final payment. 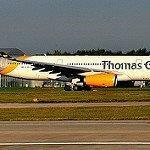 Enjoy your discounted long-haul flight holidays with Thomas Cook Airlines!